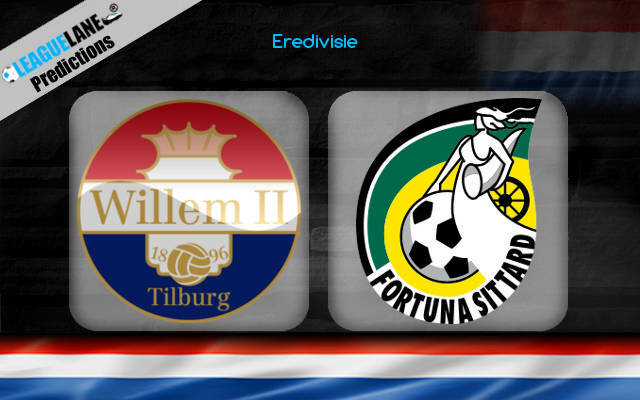 Venue: Konig Willem II Stadion (Tilburg). Dutch Eredivisie presents an extremely competitive mid-table for fans. Though just five points separate these two teams, either is fighting for different objectives. Willem is trying to get into the playoff mix, while Sittard is running scared from the relegation battle heating up below. The setting in place is favorable for Willem. They have put up consistent performances at home, whereas their counterparts are having a tough life on the road. Another thing that majorly worries Sittard fans is their faulty defense. The team has let in 61 goals so far, meanwhile, the dead-last team in the table, Breda, had their defense breached 62 times. Five of the last seven wins belong to Sittard. Willem has a scoring streak going on for the last 11 matches. Sittard has never won a game at this venue. Five of the last six ties at this venue had the hosts recording two or more goals. Willem is in great form coming to this tie. Especially at home, they have been having a blast. They won four of their last five overall games and five of their last six at home. On the other hand, Sittard lost four of their last five match-ups, and eight of their last eleven. On the road, they lost the last seven in a row, and nine of the last ten. Going on, Willem recorded five of the last seven h2h wins and has never lost at home. They also have a scoring streak active, for the last 11 straight h2h ties. In addition, Willem managed two or more goals in their last six overall ties, and in five of their last six at home. Against Sittard, at home, Willem registered two or more in five of the last six attempts as well. Meanwhile, Sittard conceded four or more goals in their last six away ties. Expect a home win, and that too with at least two goals. Over 1.5 Team Goals by Willem II @ 1.50 (1/2).